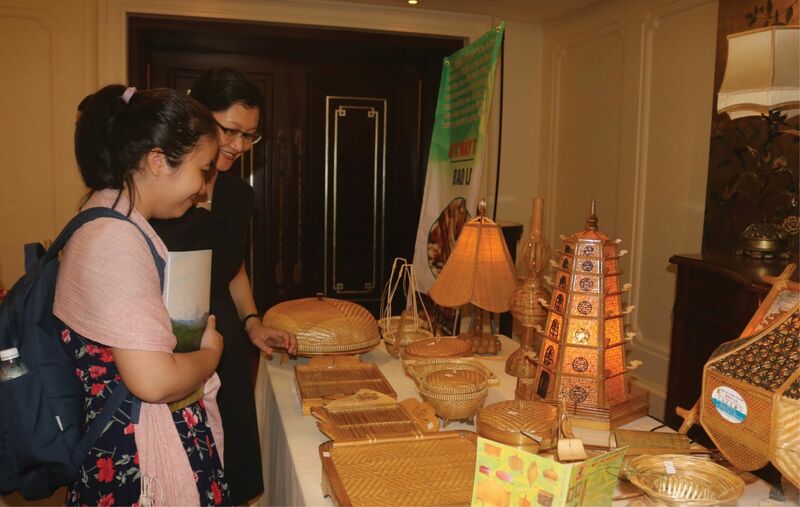 The “One Commune, One Product” (OCOP) program is a supporting force for “developing traditional handicrafts associated with the development of one product for each handicraft village and industrial production in advantageous areas to raise people’s incomes”. Thua Thien Hue province has a diverse terrain, abundant in natural resources, many unique traditional craft villages and a large number of artisans. 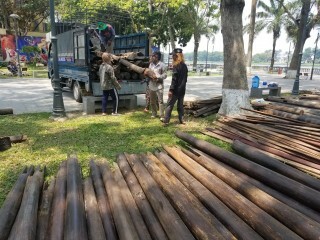 This is not only a good condition for the development of rural trades, but also a great potential for the development of OCOP in Thua Thien Hue. One of the advantages of the province when implementing the program is that local authorities have supported to register for quality declaration or for intellectual property protection. Many products have shaped their brands. Currently, the province has more than 5,500 local economic entities producing and trading OCOP key products, with an average product revenue of VND 547,627 million per year. The province has 35 points for introducing and selling local products. 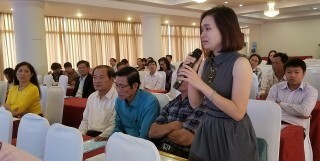 According to the Vice Chairman of the Provincial People's Committee Nguyen Van Phuong, OCOP is the rural economic development program with an orientation to develop internal resources and increase product values in order to promote the rural economy, restrict migrants from rural areas to urban areas, and to maintain social stability in rural areas. It is an important mission and solution in implementing the national program for new rural development. The OCOP implementation is not only for the development of production, but also taking on a great significance for solving important issues of rural areas, including poverty reduction, labor restructuring and job creation, promotion of creativity and wisdom of the people, building a sustainable community economic organization. In the socio-economic development strategy in the coming years, Thua Thien Hue province determined to build a comprehensively developed agriculture sector and rural areas with an orientation to modernity, sustainability and high value added. This could be obtained on the basis of enhancing the restructuring of the agriculture sector and the OCOP program in association with the implementation of the new rural development program and sustainable poverty reduction. 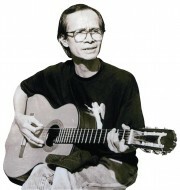 Not long ago, Vice Chairman of the People's Committee of Quang Thai Commune (Quang Dien District) Pham Cong Phuoc informed enthusiastically: “The commune has developed a 10-hectare planning area of bitter melon, oriented to follow the VietGAP standard, and established a cooperative for processing dried bitter melon tea”. Mr. Phuoc also introduced the commune’s and cooperative’s plans and strategies such as investment in machinery, models, market penetration... These are important steps for Quang Thai commune to develop its key products towards OCOP. 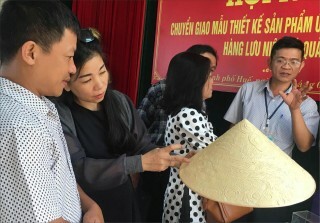 Ms. Nguyen Thi Thu Huong, Vice Chairwoman of Huong Tra Town People's Committee shared in many forums that Huong Tra had many key products. 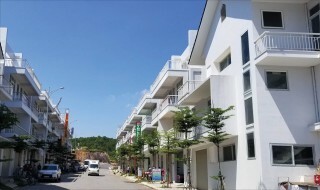 For example, Van Cu noodle village is an ancient craft village but was still poor due to a lack of support for changing models, brand name, or investment in clean production technology. 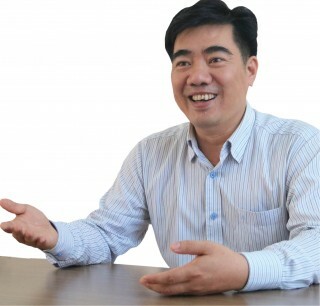 Huong An ward’s scallions earned an revenue of up to 600 million dongs per year; but there were still some “struggling” years because of the stuck output. Policies to encourage key product development are quite many but not accessible to people. Farmers are conservative in farming. In fact, there were many training courses on clean production techniques and improving models. However, after those courses, people still chose to follow their old experience. According to Mr. Mai Quoc Bao, Director of Loc Mai Co. Ltd., to create a breakthrough in the OCOP implementation, local government should soon issue specific mechanisms and policies to encourage and create the best conditions for enterprises and cooperatives to invest in their production and service expansion and in the development for OCOP products in each area. Specifically, this includes developing detailed plans for key products, building and zoning material areas, processing and managing quality under the OCOP cycle, and developing markets associated with product consumption and in on-site human resource training. In the immediate future, it is necessary to focus on planning and developing centers and selling points of OCOP products at those places where there are tourist spots, densely populated areas, that are convenient for transportation and trading in order to bring OCOP products closer to consumers. The State plays a constructive role in promulgating a legal and policy framework to support phases of technical training and guidance, science and technology application, conduct of branding, trade promotion; and to promote, encourage and support economic entities to develop products in a complete value chain. According to the results of a survey, the province now has 78 key products, divided into 6 groups. Among them, 33 products have been registered for quality declaration. 35 products have been registered for intellectual property protection (17 products as collective trademark protection, and 01 product as geographical indication protection).